Different kinds of styles sold for any of your cravings. I know I know, White Jeans!! How can we live without?? But you can always just buy a pair of white jeans from Levis and create the rip effect on to the knees. Choices Brown Rib Knitted Crop Jumper Top is my number 1 daily on the go top with basically anything as a bottom. At just $27.99, I can’t say no to that. Confident to take the Plung? 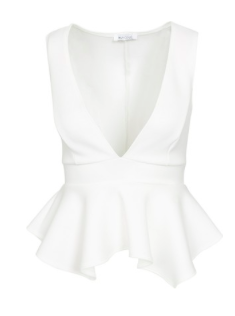 Check out this Oneness Deep V Peplum Top at just $31. Pencil Skirts have become one of my all time favorites because they are simple to dress up and dress down. 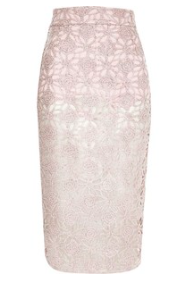 This Pink Lace Overlay Pencil Skirt is just one of those to dress up and next day throw on a slowly grey sweater with ankle booties. Just for $90.